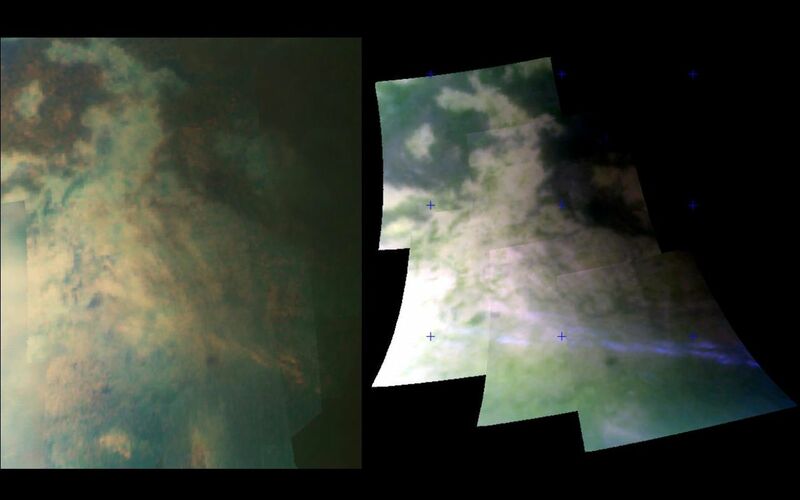 This image set was taken at a distance of 15,000 kilometers (9,300 miles) from Titan and shows two views of an area riddled by mountain ranges that were probably produced by tectonic forces. 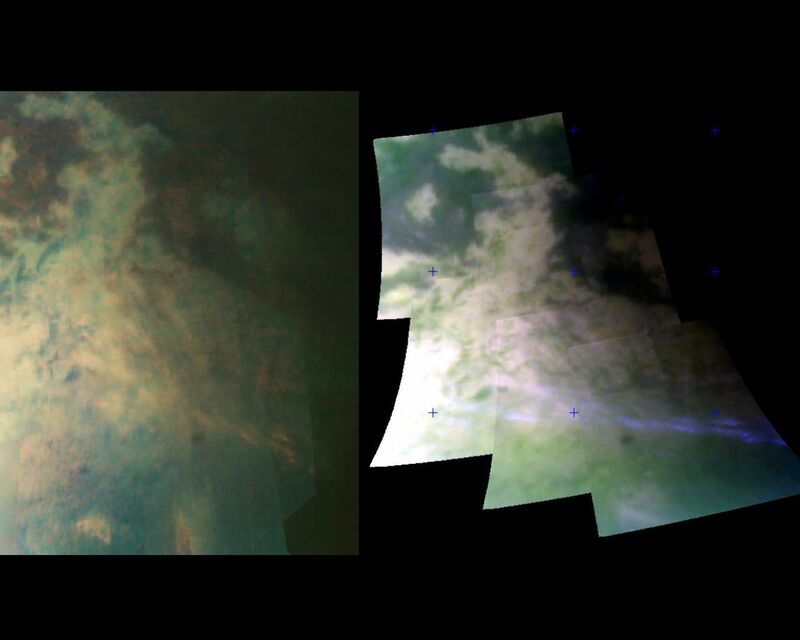 Near the bottom of the right image, a band of bright clouds is seen. These clouds are probably produced when gaseous methane in Titan's atmosphere cools and condenses into methane fog as Titan's winds drive air over the mountains. It was once thought that these recurring clouds were produced by volcanic activity on Titan, but this image calls that idea into question. These views were obtained during an Oct. 25 flyby designed to obtain the highest-resolution infrared views of Titan yet. Cassini's visual and infrared mapping spectrometer resolved surface features as small as 400 meters (1,300 feet). The images were taken at wavelengths of 1.3 microns shown in blue, 2 microns shown in green, and 5 microns shown in red.